True story: I took photos of this beautiful masterpiece of a recipe. I served it with a grilled pork chop and Aaron and I kept calling it “fancy grillin.” And we ate like real people at the dining table with cloth napkins and wine and NOT on the couch watching Friday Night Lights reruns. Other true story: My camera got all wonky and won’t upload the photos. Luckily, I found this recipe on CamilleStyles.com and her photos are prettier than mine anyway. Seriously. Make this. It is the perfect summer meal – you grill it, it’s light and it uses the freshest herbs and vegetables. I made a few edits to suit Aaron’s picky palette. – Subbed a bit of thinly shaved red onion for the olives (olives! grody!). 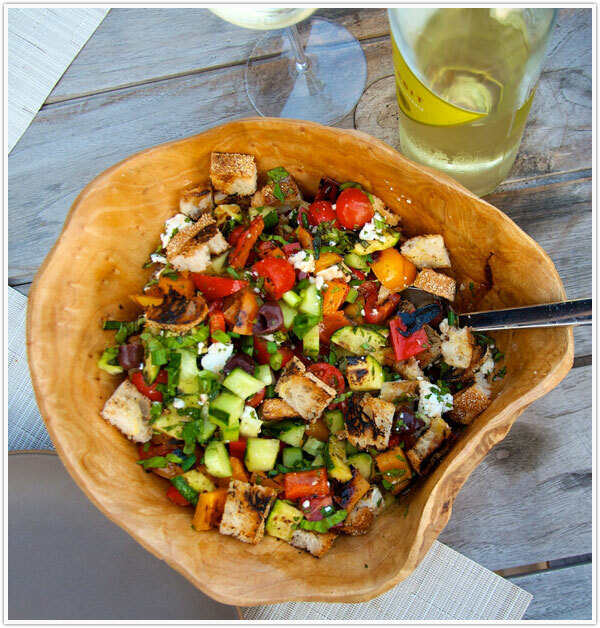 – Swapped the feta with goat cheese (goat cheese! yummm!). 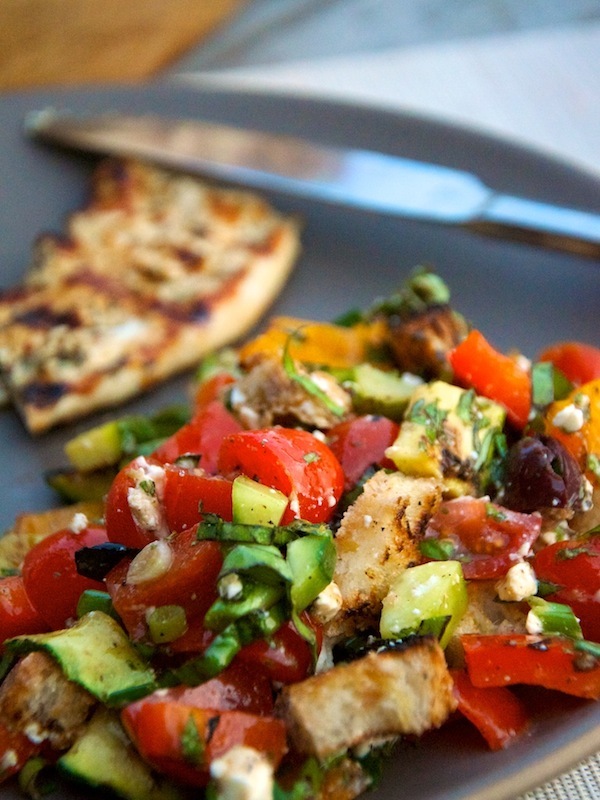 – Since I’m out of mint, I used a bit of extra basil and added a tablespoon of chopped, fresh rosemary. – We halved this recipe and still had more than enough for the two of us. Yes – try it! I loved that the grilled vegetables gave it a bit of warmth and made the cheese melty. And the bread soaked up all that balsamic. OMG. So good.